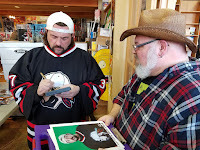 THE BRILLUSTRATOR: Hanging with Silent Bob! 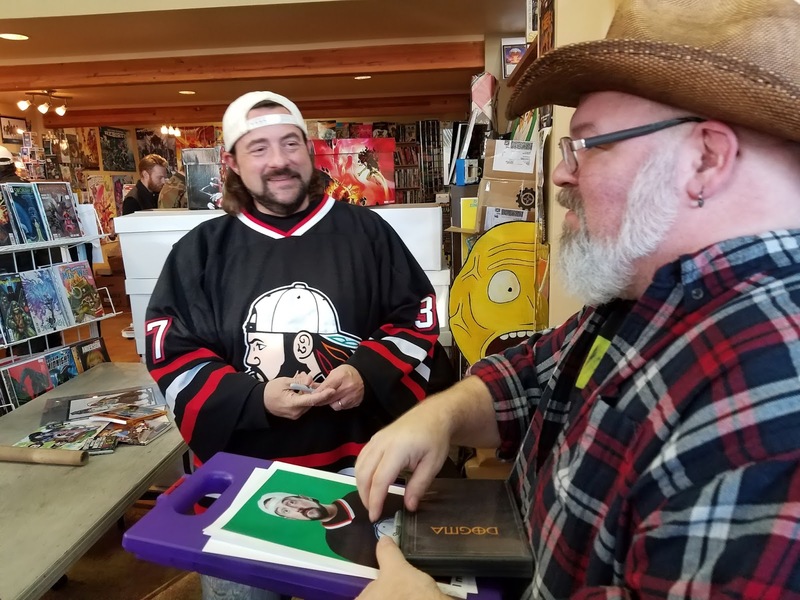 I got to meet Kevin Smith! 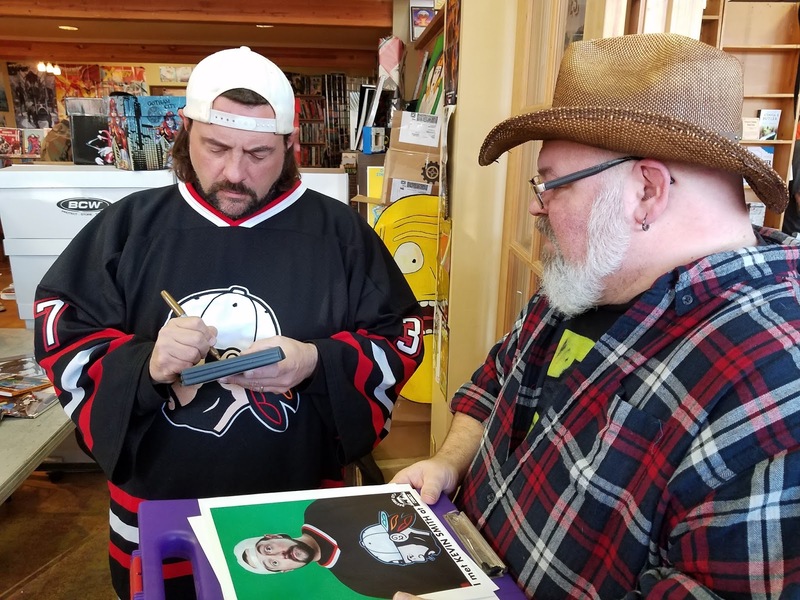 He came to a small local comic book store in Tacoma (Destiny City Comics) and signed pics and comics and dvds for quite a few fans that flocked in to spend a few moments in the presence! Seriously cool and fun dude! I love several of his movies and have problems with a few (like "Tusk"...yikes! 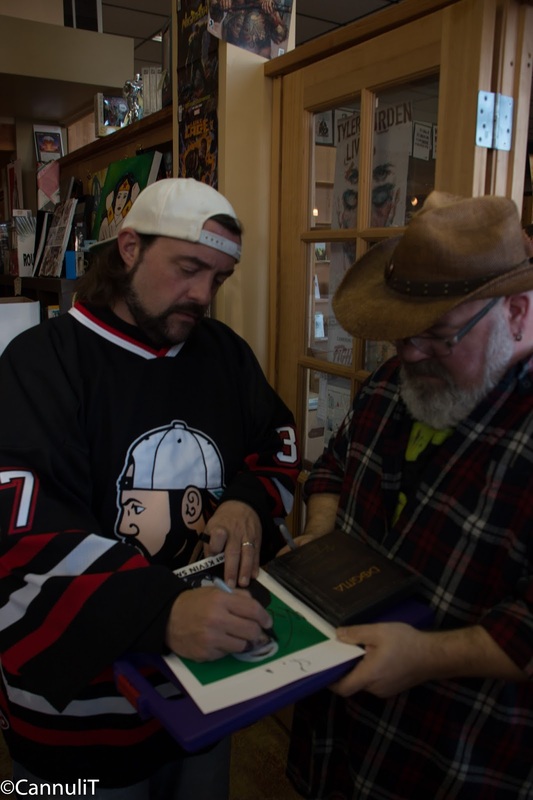 ), but his "An Evening With Kevin Smith" events are amazing! I don't know whether to call them concerts or lectures or stand-ups or what. He just tells stories about his life as a filmmaker and celebrity and they are hysterical! Anyway, I went with my friend Chris (it was his birthday) and we waited about an hour in line and I finally got to shake hands with the genius who made "Dogma", on the second anniversary of the death of Alan Rickman, no less (who starred in Dogma). It was a weird and wonderful day, for many reasons. 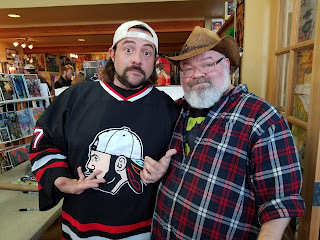 But as always, when I see Kevin Smith, I'm given hope for what a bearded, chubby guy can accomplish in this world! 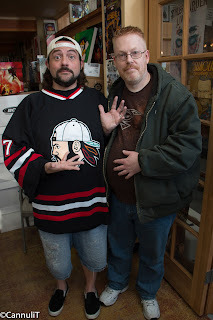 Here's Kevin and my friend Chris!